Recently I was contacted by a fellow blogger, who had been scratching his head because of disappearing labels. 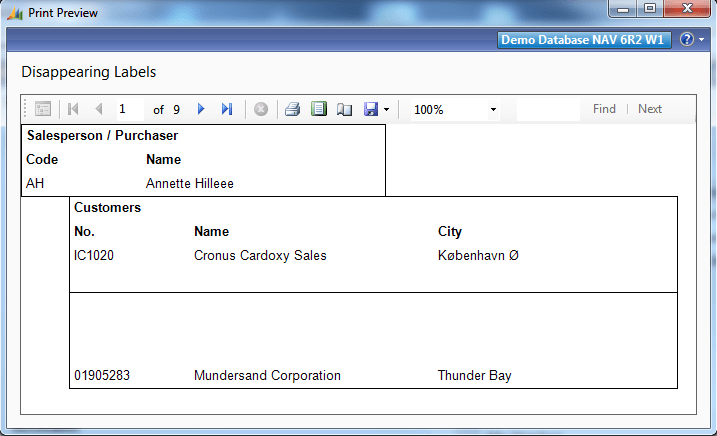 To be able to get this result I updated some records and made sure Annette Hilleee is the Salesperson for Customer IC1020 and the Purchaser for Vendor 01905283. Now let’s create an RDLC layout. 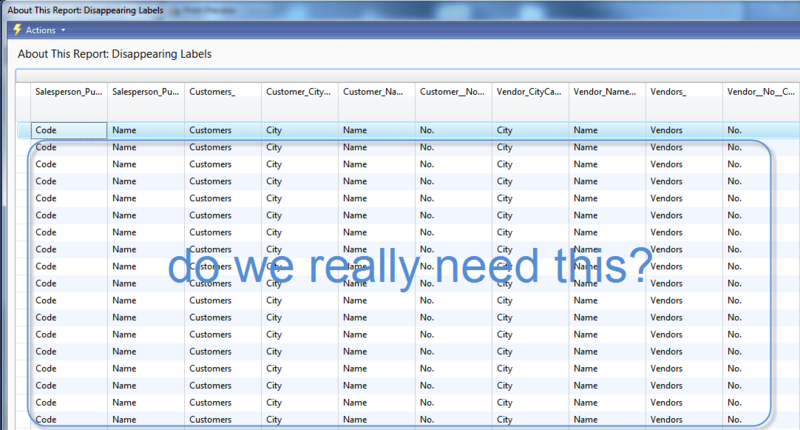 Do you see the labels for the vendor data item? What happened? 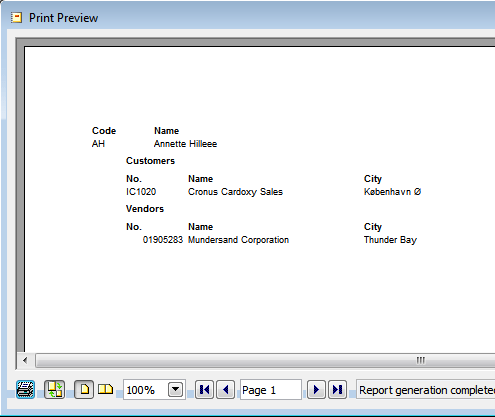 So, let’s try the same for or original report: Disappearing Labels v1. Why? Well, because the report is now ‘broken’ when you run it in the Classic Client. (The layout is messed-up) Furthermore, performance-wise I believe it’s better not to have captions on all rows in the dataset, when you only need it once. Also think about the expression you use to fetch the captions. 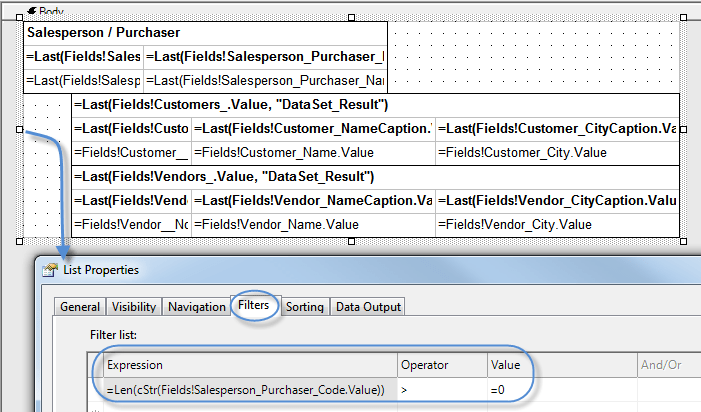 Because when you filter the list, the captions should be fetched using a dataset scope: =Last(Fields!Customer__No__Caption.Value, “DataSet_Result“) If you omit the parameter: “DataSet_Result” the caption will not be found. 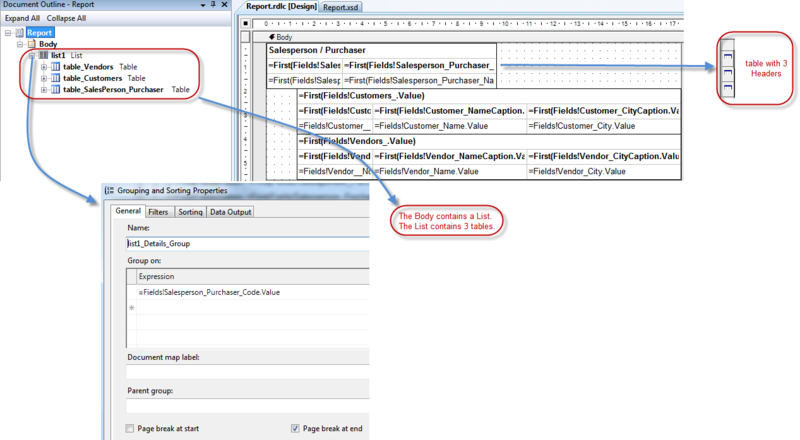 Of-course, in this version of the report the layout in the Classic Client is now ‘fubar’. If your report is experiencing performance issues or if you expect a big data set (more then 100.000 rows), then think about removing captions from all rows. There’s no reason to copy the same data for every row, not? 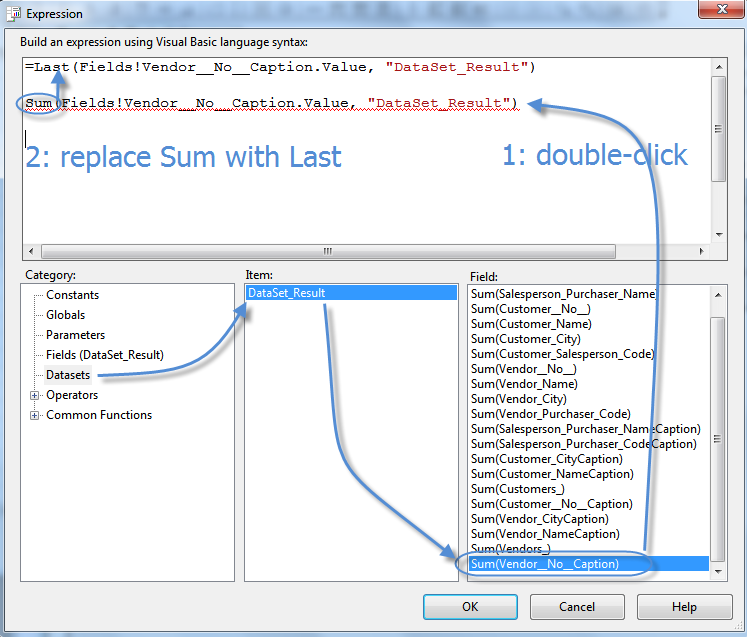 If you are working in mixed mode, meaning some users are still using the Classic Client, you might have to add extra integer data items, only for the Classic Client. Once more: thanx for helping me out, Steven. 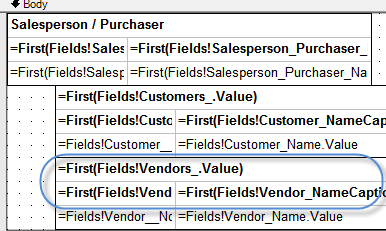 Steven, is there an efficient way to get this “=Last(Fields!Customer__No__Caption.Value,”DataSet_Result”)” in a cell? 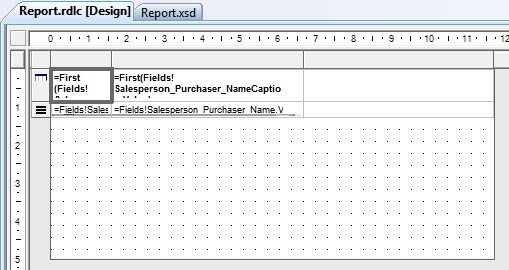 I mean: if I drag and drop a dataset element from the Website Data Source pane on a table cell the designer will populate it with “=Fist(Fields!Customer__No__Caption.Value,)”. Now I have to manually change this for each cell to get “Last” and “DataSet_Result” in my expressions, which is quite tedious. But it still requires some manual intervention.